On Wings of Eagles: Harpoon or Bible? His task was not an easy one, however. He often had to travel long distances in harsh conditions, and his eyes eventually contracted snowblindness, a condition that is quite agonizing and incapacitating. We generally prefer to avoid unnecessary sacrifices. However some of our sacrifices are unavoidable and still others are commendable. 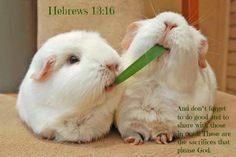 God's view on these is quite remarkable: "Do not forget to do good and to share with others, for with such sacrifices God is pleased." What attitude are we portraying in front of society? Are we more like the whalers described here, tending to promote our own interests? Or are we more like these missionaries, willing to be selfless while undergoing sacrifices, having taken to heart the eternal destination of those around us? Dear Lord, help us to have loving hearts as we see those around us. Help us share Your love through our love for others. IN the Name of Jesus, Amen.